Uptown Update: Beam Me Up! Demo is well underway at 4720 North Sheridan. 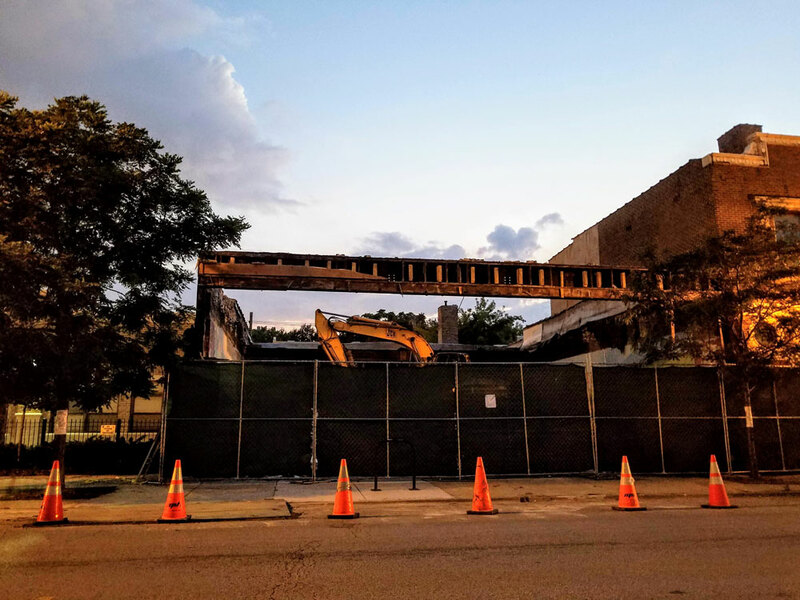 As of Monday night, when this photo was taken, all that remained of the humble one-story building were the side and back walls and an I-beam across the front. As of Tuesday, the I-beam had been removed. According to the meeting summary on Truman Square Neighbors' Facebook page, full demolition is expected within the week. Then either a five-story building (under current zoning) or a six-story building (under requested zoning) will be built, depending on the outcome of the residents' votes. Although the design, IMHO, stinks, if it's to be market rate housing, bring it on!